On November 2, 2017, the House of Representatives released a draft tax reform bill titled the “Tax Cuts and Jobs Act.” The bill would reduce individual and business tax rates, would modify or eliminate a variety of itemized deductions as well as repeal the estate and alternative minimum taxes, and would change the taxation of foreign income. The Ways & Means Committee intends to formally markup the bill the week of November 6 with full House floor consideration planned before Thanksgiving. Most of the provisions would be effective starting in 2018. Under the House bill, individuals would be subject to four tax brackets at 12, 25, 35, and 39.6 percent. The 39.6 rate would apply at $1 million for married taxpayers filing jointly and $500,000 for other filers. The standard deduction would be increased, from $6,350 to $12,200 for single filers and from $12,700 to $24,400 for married taxpayers filing jointly. Personal exemptions would be repealed; however, the child tax credit would be expanded. Itemized deductions would be changed significantly by the bill. Deductions for state and local income and sales taxes would be eliminated for individuals, and the deduction for local property taxes paid would be capped at $10,000. Mortgage interest expense deductions would be limited to acquisition indebtedness on the taxpayer’s principal residence of up to $500,000 for new mortgage indebtedness, reduced from the current limit of $1 million (existing mortgages would be grandfathered). Home equity indebtedness would no longer be deductible. Cash contributions to public charities would be limited to 60 percent of the donor’s adjusted gross income, an increase from 50 percent adjusted gross income limitation under current law. 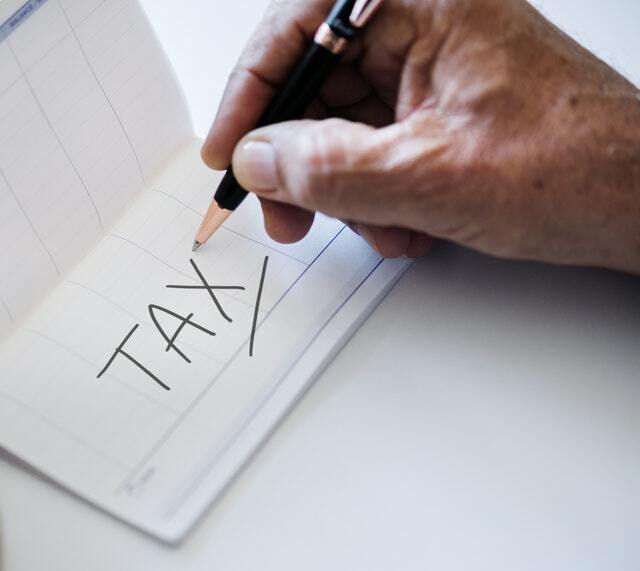 Deductions for tax preparation fees, medical expenses, moving expenses, and personal casualty losses would be repealed, but the deduction for personal casualty losses would remain for relief provided under special disaster relief legislation. The overall limitation on itemized deductions would also be removed. The individual alternative minimum tax (AMT) would be repealed. Transition provisions would ensure taxpayers with AMT carryforwards would be able to use the remaining credits between 2018 and 2022. Notably, most of the reform provisions are effective beginning after 2017; however, the changes to the mortgage interest expense deduction are effective for debt incurred on or after November 2, 2017. The exclusion of gain from the sale of a principal residence would be phased out for married taxpayers with an adjusted gross income in excess of $500,000 ($250,000 for single filers) but the act changes the use requirements and calls for taxpayers to live in the residence for five of the previous eight years to qualify, up from the current requirement to use the residence for two of the previous five years. The bill further repeals the deduction for alimony payments effective for any divorce decree or separation agreement executed after 2017. Estate, gift, and generation-skipping transfer (GST) tax exclusions for individuals would be increased to $10 million (as of 2011) and then adjusted for inflation, and the estate and GST taxes would then be repealed after 2023 but would maintain the step-up in basis provisions. Beginning in 2024, the top gift tax rate would be lowered to 35 percent with a lifetime exemption of $10 million and an annual exclusion of $14,000 (as of 2017) indexed for inflation. Impacting businesses, the corporate tax rate would be reduced from 35 percent to 20 percent, and certain “business income” from pass-through entities would be taxed at 25 percent instead of an owner’s individual rate. Bonus depreciation of 100 percent would be available for qualifying property placed in service before January 1, 2023, new property types would qualify for bonus depreciation and expense amounts would be expanded. The bill proposes to eliminate the Domestic Production Activities Deduction and change other aspects of entertainment expenses, net operating losses, like-kind exchanges, business credits, and small-business accounting methods, among other provisions. The bill would also repeal the corporate alternative minimum tax (AMT) and make existing AMT credit carryforwards refundable over a period of five years. Taxation of a corporation’s foreign income would change from a worldwide system to an exemption system, with a 100-percent exemption from U.S. tax for the foreign source portion of dividends paid by a foreign subsidiary to U.S. corporate shareholders that own 10 percent or more of the foreign subsidiary. To transition to the exemption system, the bill also includes a transition tax for untaxed foreign earnings accumulated under the current worldwide taxing system. The House bill also includes provisions to prevent base erosion. A separate tax alert discussing in more detail the House bill’s proposals relating to the taxation of foreign income and foreign persons is forthcoming. The bill would impact tax-exempt entities as well through the expanded application of unrelated business income tax (UBIT) rules and a flat 1.4 percent tax of the net investment income of entities including private foundations. The release of the House bill represents the first significant and detailed legislative step toward tax reform under the Trump Administration. As drafted, most of the provisions would be effective for the 2018 tax year. The House Ways & Means Committee is expected to formally markup the legislation the week of November 6, with full House consideration planned before Thanksgiving. There are additional provisions in the proposed legislation effecting education credits, retirement accounts, deferred compensation, and private foundations, among others.